Prior to January 2018, we were sending automated broadcast audio from Front of House (FOH) for the live weekend streaming audio feed. 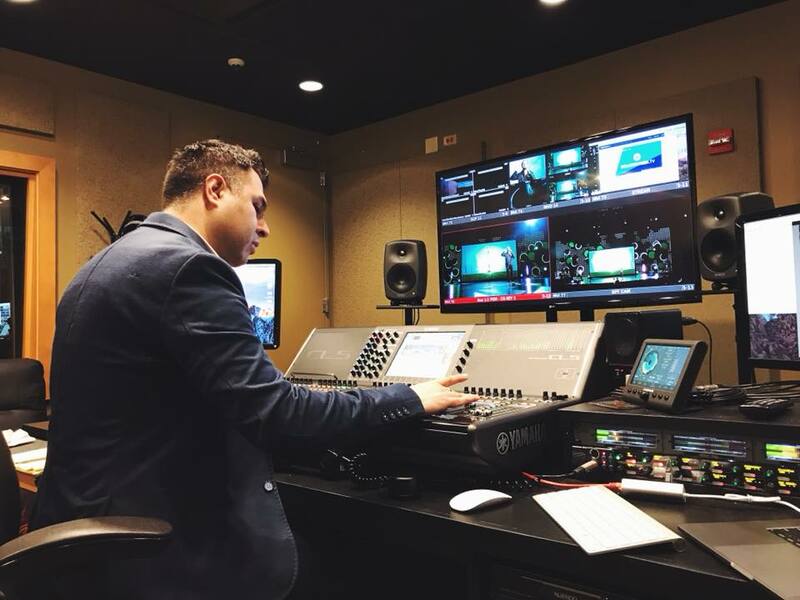 From January 2018 to the present, we have hired a broadcast audio engineer who mixes for willowcreek.tv and our archive recordings. We still use automated broadcast audio for our overflow and in-house cable TV system. 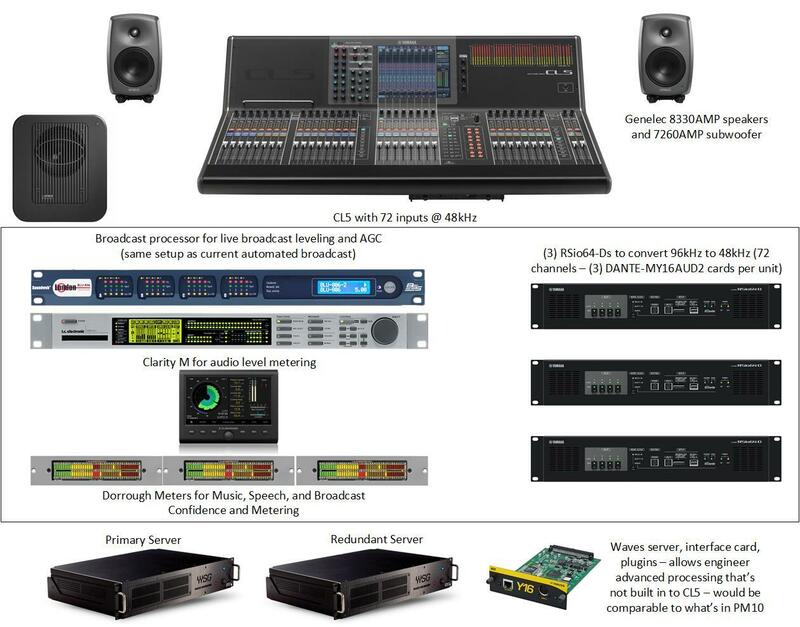 At FOH, we send separate stereo music and stereo speech mixes just for broadcast audio. We have a pair of microphones hanging off the catwalk in the auditorium which plug into one of the mic preamps of FOH Yamaha PM10 console, which the FOH engineer sets and leaves the Head Amp (HA or Gain). Three separate sends (3 stereo pairs) are sent to a BSS Soundweb London Blu-806 processor via Dante. Within the BSS processor, the speech buss is gained up to more closely match music levels. We then send out the mix of music and speech to a T.C. Electronics DBMAX where we insert an Auto Gain Control (AGC), some multiband compression and a soft limiter. The output of the DBMAX goes back into the BSS where audience mics are mixed in. We have added a bit of extra processing to help manage the ambiance/audience mic levels. Within the BSS, we have a side-chained compressor driven by music and speech content (pre-DBMAX) that is pushing down the room mics. This effectively dries up the signal a bit while music or speech is present. In moments when there is a pause in content from the stage, the room mics then restore to a louder level so audience response (clapping/singing) can be heard more clearly. This final broadcast audio mix, with music, speech, and audience mics, is then sent via Dante to our audio router where it gets sent various destinations. 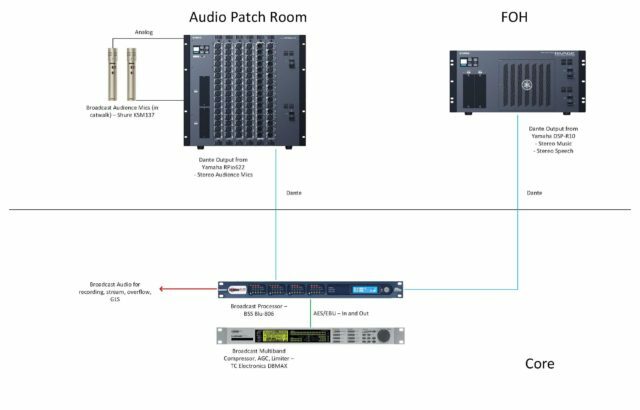 It will be embedded with our program video signal, it routes to local speakers in video control and master control for monitoring and the ability to hear what is going on in the room. In January of 2018, we moved to a live broadcast mix with a broadcast engineer. The system was initially purchased to do a live broadcast mix for the Global Leadership Summit (GLS). The original console and system purchased was a Yamaha CL5 with three Yamaha RSio64-D and nine Dante-MY16-AUD2 interface cards. The reason for this was because consoles and system in the Main Auditorium run at 96kHz and the CL5 runs only at 48kHz. The RSios and MY cards were to do a Sample Rate Conversion (SRC) from 96kHz to 48kHz. 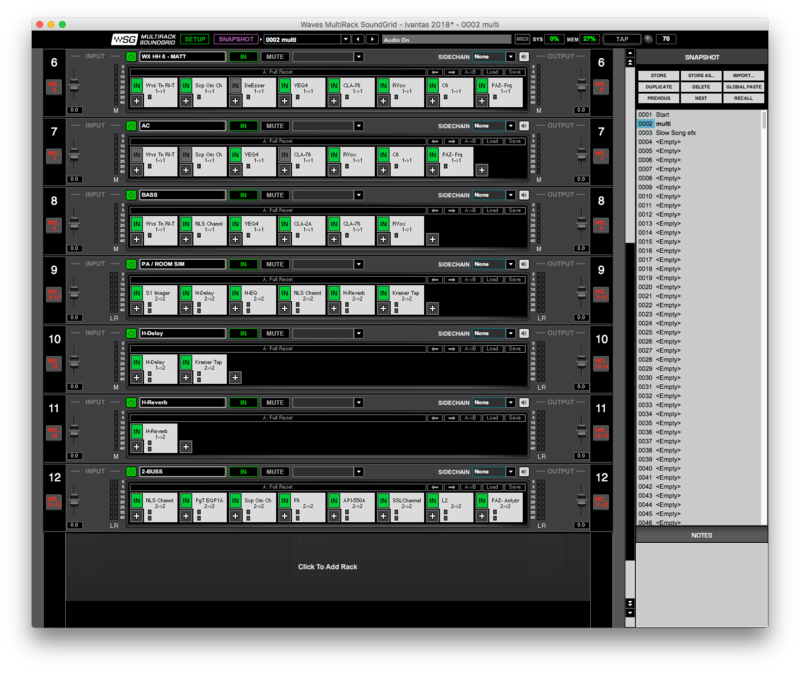 There was also an extensive Waves setup with two Soundgrid Server One units, primary and redundant and one WSG-Y16 V2 waves card for 16 channels of processing in Waves. 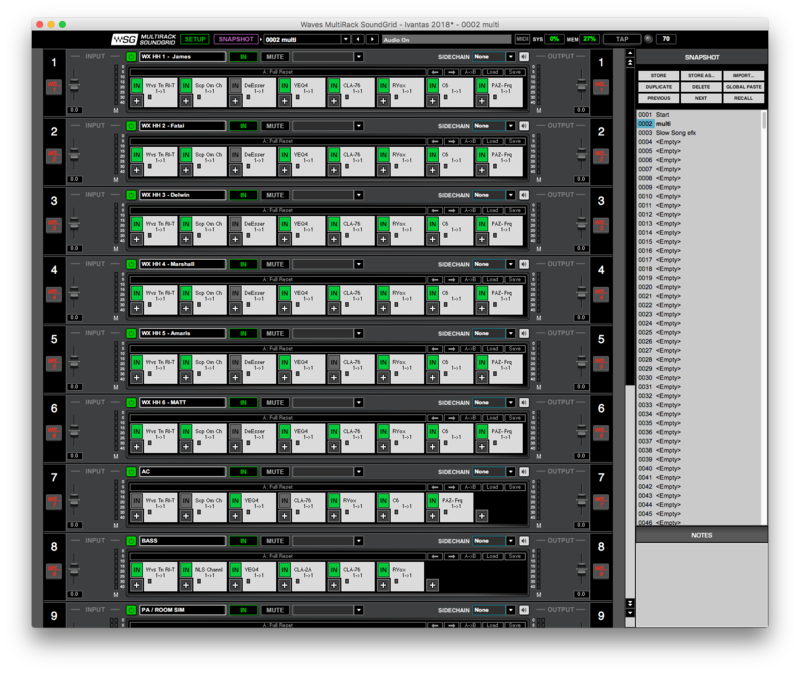 The downside to this setup is that it can only do 72 channels where the PM10s that are in the Main Auditorium can do 144 channels. After using this setup for the Global Leadership Summit (GLS) and having to change patching between sessions, it was determined that it would be better to have a system that can do the same channel count and capability as the boards in the auditorium. The way the system was initially designed, the only thing that needed to be swapped out to make this happen was the console itself and adding one Waves MY card, since the cards at 96kHz go from 16 channels to 8 and we use 16. The console we landed on was the smaller surface of the PM10 line, the CS-R10-S, but it still has the same capabilities as the full-size PM10, just without the additional left screen and fader bank. 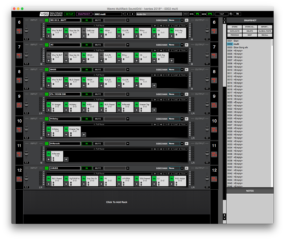 With the release of version 2.02 of the software, it also allows the 3rd console to be a part of the fiber ring called TWINLANe so this console has access to the same I/O racks as FOH and monitors. We also purchased two of the HY144-D cards so that one card can be dedicated to virtual soundcheck (VSC) and the other is the dedicated Dante I/O for anything that is on the Dante network. The processing for this new manned system is relatively the same as the automated broadcast feed, though the engineer has chosen to do a majority of the 2-buss processing in Waves as opposed to in the DBMAX. 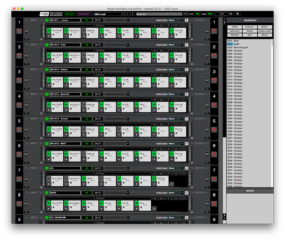 With the PM10, there may be less waves processing needed and more onboard processing but that will be determined as our workflows continue to develop. The RSios are still available and will be flipped the other way to up-convert 48kHz to 96kHz should we ever want to do a broadcast mix from a different room in the building. 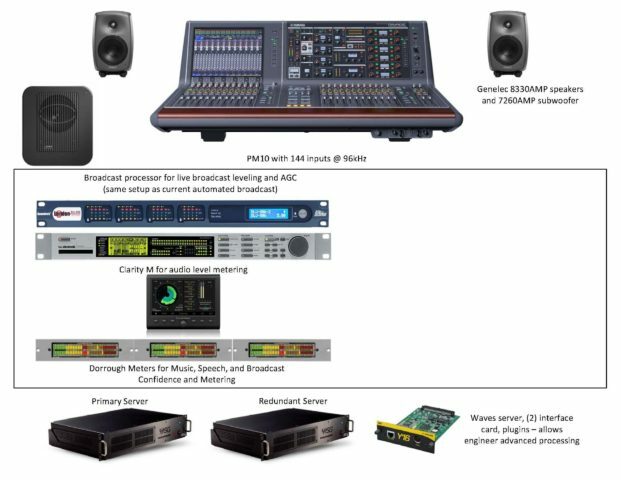 The output of the BSS feeds local reference speakers and meters, while the Dante output goes to our audio router and gets embedded with broadcast video for archive recording and is the audio to willowcreek.tv. Because the majority of users watching willowcreek.tv are viewing on laptops, we send the broadcast mix 6dB hotter to the stream so that it sounds good on a broad range of speakers. We also have a Yamaha QL1 console in line before the broadcast feed goes out so that we have the ability to turn off audio to the stream quickly or to send a different audio source to just the stream and leave broadcast audio going to archive recording.